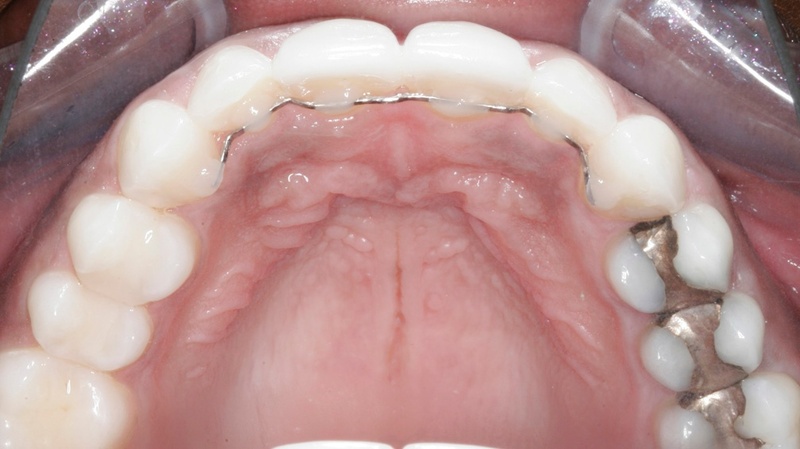 Patient’s Chief Complaint: Restore upper centrals and in an “end-on” anterior relationship. 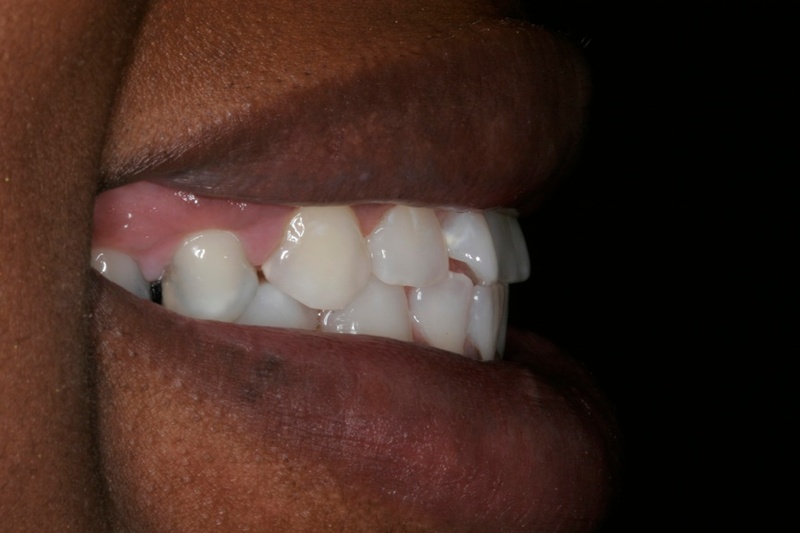 Treatment: One of the concerns we had in this case is that the patient had “butterfly” centrals and some upper spacing. At the same time she had spacing on the upper arch she had very little overjet. 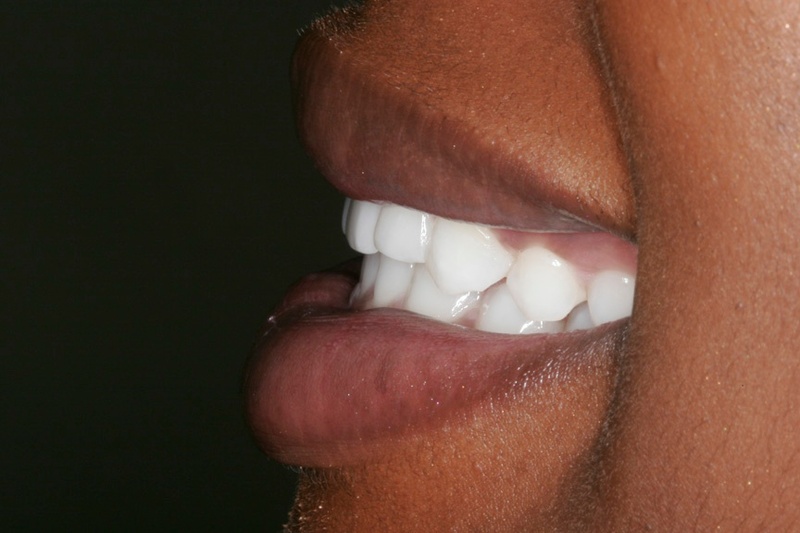 In fact, the upper centrals were actually worn very thin and in an “end-on” anterior relationship. 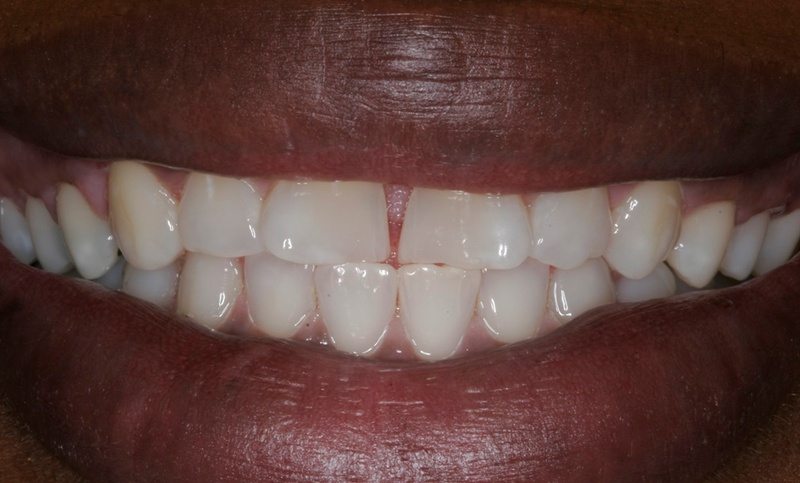 She wanted to restore the upper centrals but I was not pleased that we could get a nice result unless we corrected their rotation and provided her with some overjet and overbite to give her some anterior guidance and coupling. 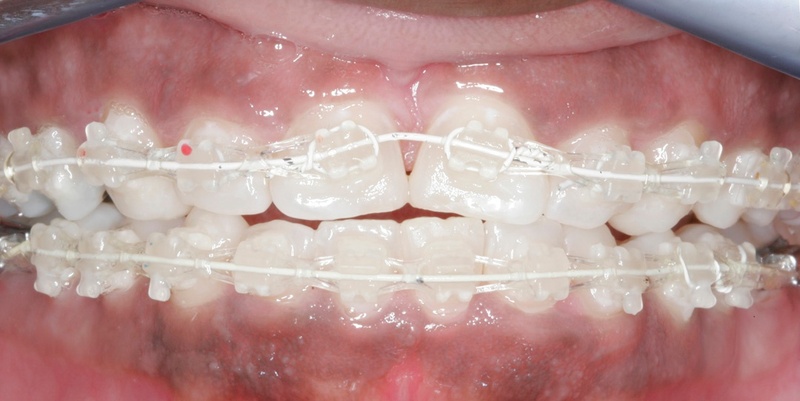 At the time of her treatment I did not know about the technique of adding lingual buttons with a 2-link continuous powerchain on the lingual and an active open coil spring on the facial. That technique would have saved me quite a bit of time as it is much more efficient. However, the proper position of the brackets on the upper centrals and making sure to engage the wire into the slot 100% with quick ties allowed the wire to deflect enough towards the lingual on both the upper centrals that we were able to derotate them. When closing spaces the arch circumference decreases. So, our big concern on the upper arch was that if we close the spacing and retract the upper incisors into the narrower circumference that the overjet would not improve and, in fact, could get worse. Our recourse was to do lower IPR and retract the lower teeth with power chains or elastic thread to “shrink” the lower arch circumference and create some overjet. Fortunately, rotated incisors are narrower than incisors that are not rotated. Therefore, correcting the rotation on the upper centrals helped to close the space. Then, once we developed enough overjet we were able to proceed with a combination of elastics to close the bite down and create some overbite. This set the case up perfectly for her final restorations.